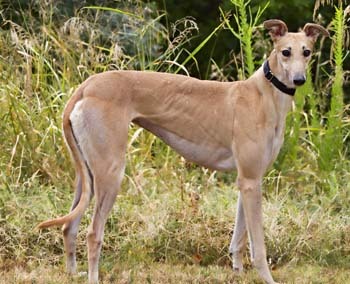 Buttercup, aka Bayou Buttercup, is a 2½-year-old red female born January 1, 2009. Her sire is Dodgem By Design and her dam is Aggressive Belle. 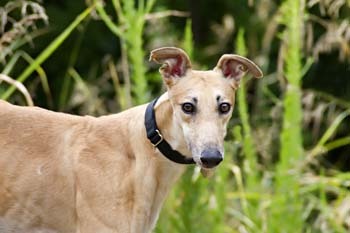 Buttercup has 15 races to her credit on Greyhound-data.com starting on December 12, 2010 and ending on March 11, 2011. 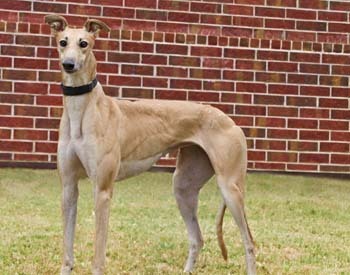 She was not destined for a long racing career, but would like a long career with a family! Buttercup is littermate to Gretchen. Buttercup has not yet been tested with cats or small animals.